There are a few ways available to find out what version and edition of SQL Server you are running. Connect to the server you want to find out, right-click the server instance name and choose Properties. The product line tells what edition of SQL Server this is. 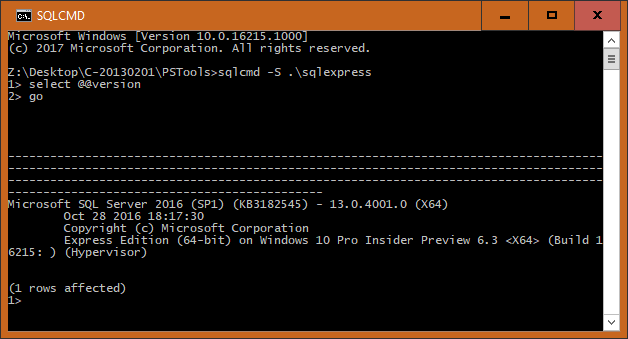 It runs SQL Express version in this case. 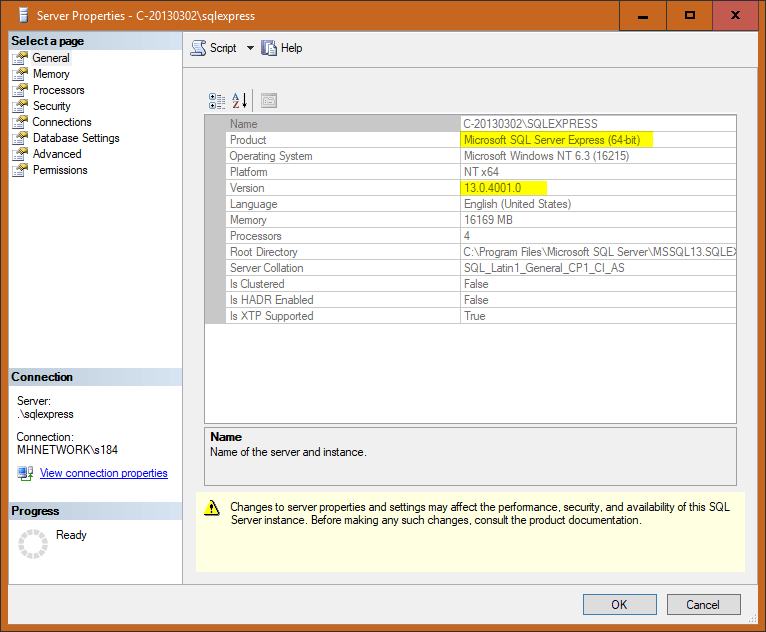 The version line tells the version of SQL Server you are running. According to this Microsoft document, it runs SQL Server 2016. Note that the switch -S needs to be capital to connect to a remote server. It’s pretty clear that it’s a SQL Server 2016 Express I am running on this computer. 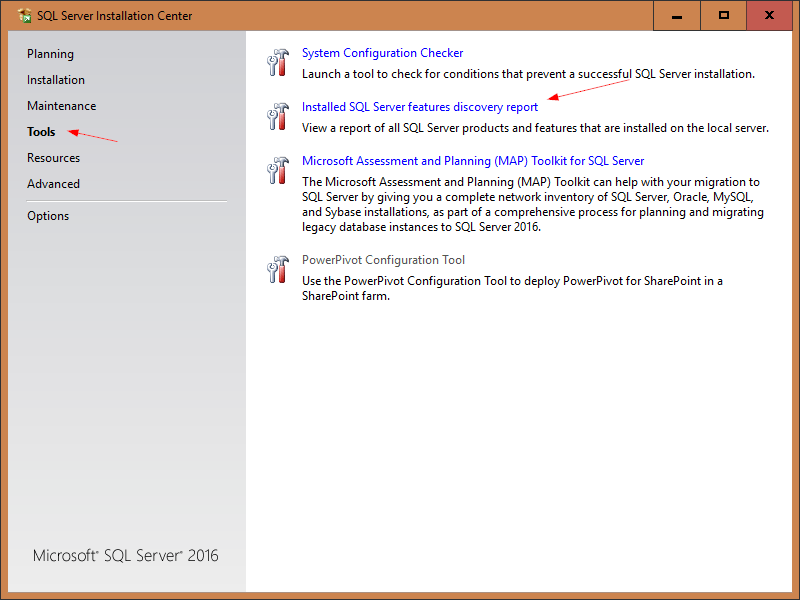 Search and launch SQL Server Installation Center on the SQL Server you are checking, go to Tools and click Installed SQL Server features discovery report option.